The Remain camp will have to find different enthusiastic advocates and reasons than trade deal queues to convince voters if Brexit is to be defeated. 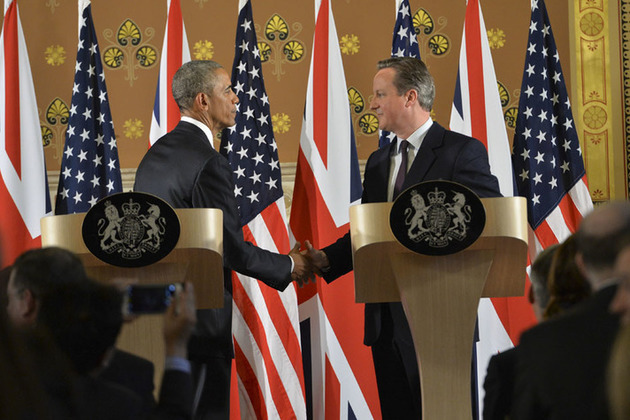 Obama’s intervention was not a game-changer, writes Denis MacShane. Certainly the US president was vivid in his choice of words about the UK “going to the back of the queue” in any post-Brexit trade talks with the US. He was attacked by Boris Johnson in quasi racist terms when the anti-EU the Mayor of London said it was Obama’s part-Kenyan ancestry that made him anti-British from memories of British atrocities against Kenyan independence fighters in the 1950s. Johnson was castigated by the liberal commentariat but like Donald Trump he is made of political rubber and has already bounced back with new attacks on Obama and the EU while the President flew to defend the TTIP trade deal in Germany that if it does happen will be agreed after he has left the White House. Johnson looks at voters in Austria, Spain, France, Greece, Sweden, Denmark, Flanders as well as Poland and Hungary and knows that in today’s politics the loud-mouth populist nationalist full of bile against Europe does far better in the polls than the classic centrist pro-European party leaders. But strong as Obama’s words were they are unlikely to last all the way to the referendum day in two months’ times. The Remain camp should bank his statement but has to find other ways of communicating its anti-Brexit case. Beside the elegant silver-tongued Obama, surely the best communicator of a political message since Ronald Reagan, David Cameron seemed wooden and bored as he trotted out his defence lines for staying in the EU. Cameron’s problem is that he has only just learned his lines. From his election in 2001 until he was confirmed as prime minister in May 2015, Cameron never had a good word about Europe. Until recently he regularly described Brussels as “too bossy and bureaucratic”. Fair enough if that’s what he thinks but why should any voter endorse an outfit his or her own prime minister dismisses so negatively? That is the problem for Cameron and other cabinet ministers like Foreign Secretary Philip Hammons and Home Secretary Teresa May. Only yesterday they were visceral Eurosceptics. Voters can sense something isn’t there when they now make the case for Europe. The same is true of the Labour Party’s hard left leader Jeremy Corbyn. He has made a strong case against Brexit. Cameron can thank his lucky stars Labour is so united and without fanfare campaigning much more strongly than the Conservative Party to defeat Brexit. But everyone know that Corbyn has spent most of his political life disliking the EU and moaning about its unsocialist failings. Business leaders like WPP’s Sir Martin Sorrell on £70 million a year oppose Brexit but for many workers, as Wolfgang Muchau argues eloquently in the Financial Times, the European branch of globalization has seen a downward pressure on incomes and living standards for those without university degrees. Über rich bosses do not know how to talk to Britain’s 31 million employees who do not enjoy the life of the super wealthy. Obama like Hilary Clinton who has also came out publicly against Brexit represents the apex of the Davos political-media-business elite. The liberal pro-European elites swooned at his speech but canvassing ordinary voters door-to-door on the day after his intervention there was no sense that he made any impact. That is not to criticize Obama’s intervention or his right to make it. But the Remain camp will have to find different enthusiastic advocates and reasons on than trade deal queues to convince voters if Brexit is to be defeated. In the course of a couple of days, the partial ceasefire in Syria began to fray, the peace talks in Geneva turned stony, and the Saudis pointedly cold-shouldered President Obama when he arrived in Riyadh for talks with King Salman. You say Obama doesn’t sound convincing? Obama for EU President !!!! Yes! yes! yes! You deserve the wall street stooge Mr. side stepping constitutional law himself, may he regulate EU into a war with Russia – good riddance! KaChing! Donald Trump, Europe’s new nightmare, sweeps five more states in the republican primaries with sixty percent of the vote! And the “Leave” camp has enjoyed a rise in the polls thanks to Obama. Please keep ’em coming!